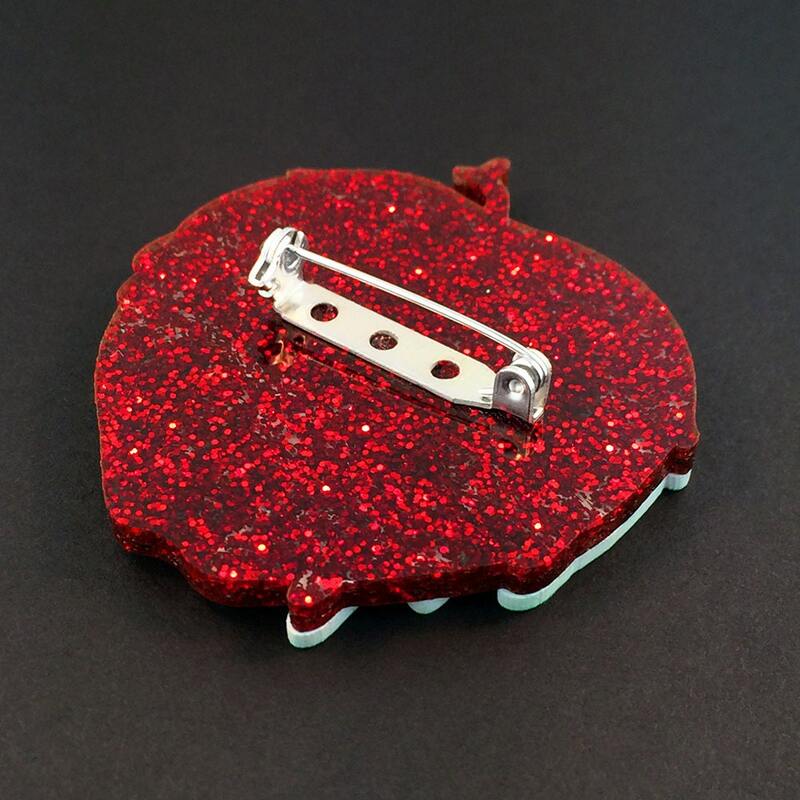 This brooch is perfect for the most captivating of Snow Whites and Evil Queens. 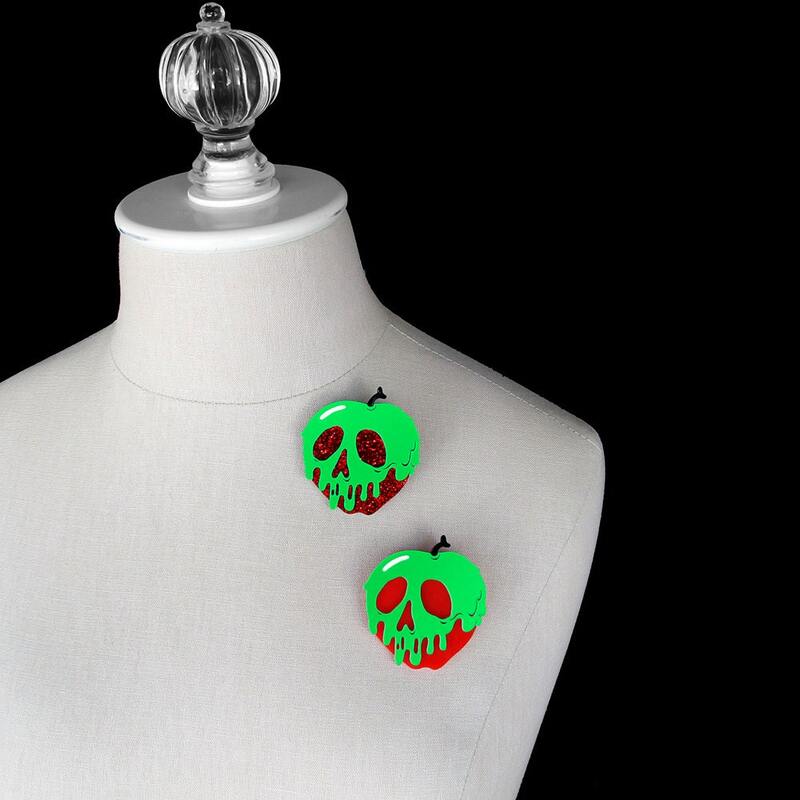 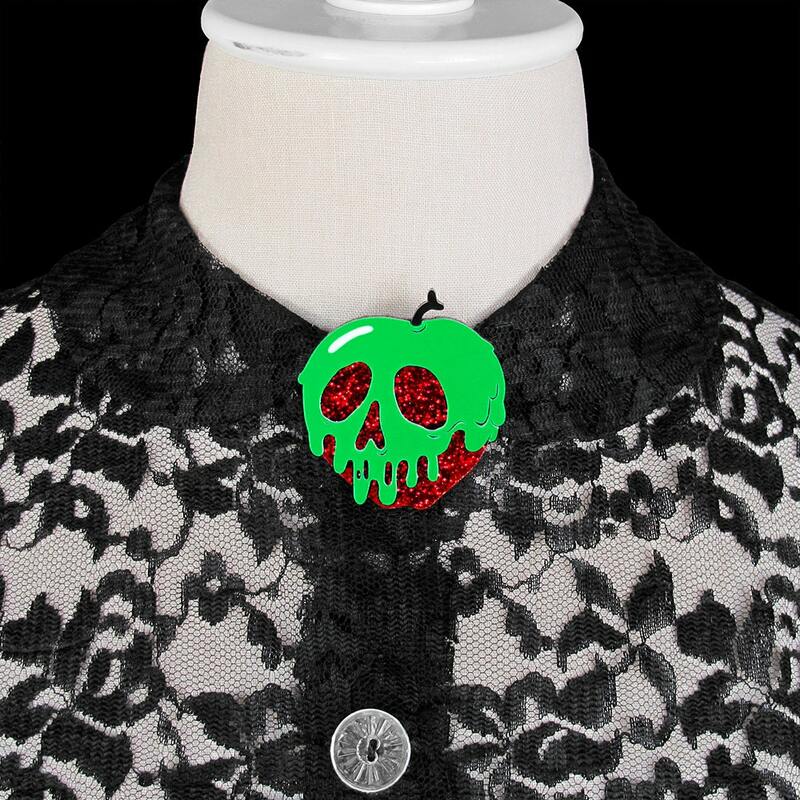 It pairs lovely with "lips red as the rose"
Pin this evil little apple to practically anything: clothes, purses, bags, scarves, hats, hair accessories, belts, wedding bouquets, curtains, wreaths, etc! 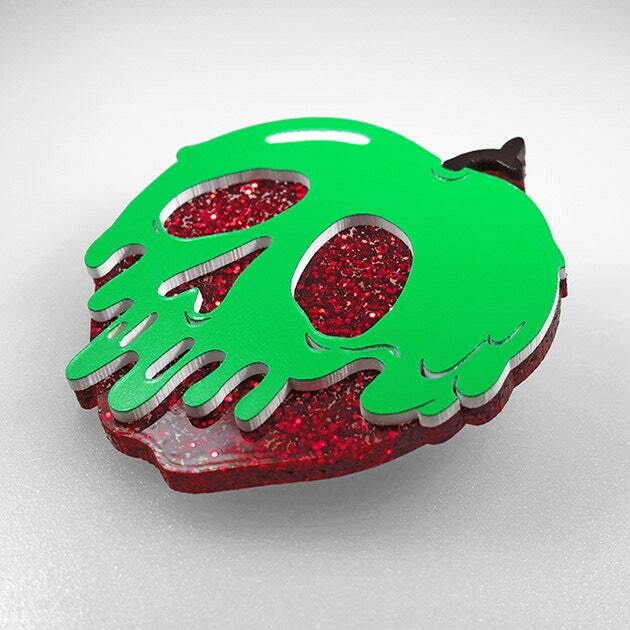 This brooch is made of 2 layers of acrylic, a slime layer over a red glitter apple layer.